The first step in planting peony seeds is soaking them. 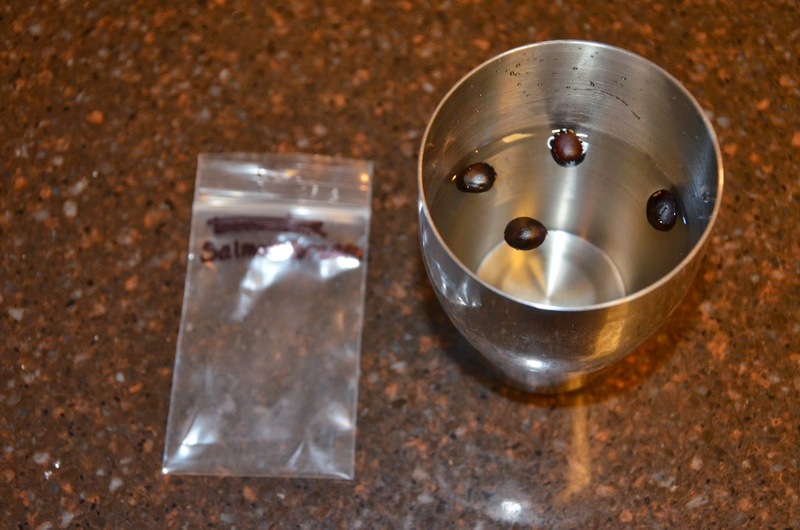 This step is not required depending on how fresh your seeds are and whether you feel like soaking them. I usually soak purchased peony seeds just because I'm not sure exactly how they've been handled, and I really have no way of knowing how old they are. If you do decide to soak them, I would recommend soaking them overnight in individual containers separated by peony variety. Next when you're ready to plant your seeds, gather all the needed materials to do so. 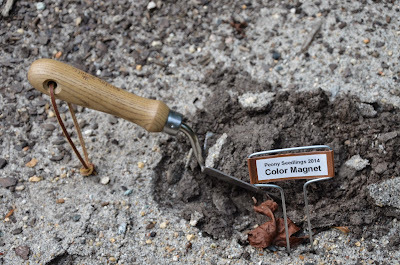 You'll need the seeds separated by variety, some sturdy plant markers to mark the seeds, and something to poke (pen or pencil) or dig (trowel or shovel) into the soil with. If I don't have very many of a variety, then I will just plant them by poking small holes in the soil rather than digging. 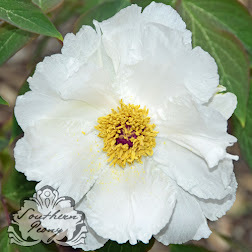 If you have lots of one variety (like more than 10 or 15), then you will probably want to use a trowel or small shovel to make a shallow hole where you'd like to plant your peony seeds. I usually plant my peony seeds about 1 inch deep to make sure they don't get heaved, scratched, or eroded out of the soil. I also usually plant my peony seeds about 1-2 inches apart. This is too close to grow peonies. 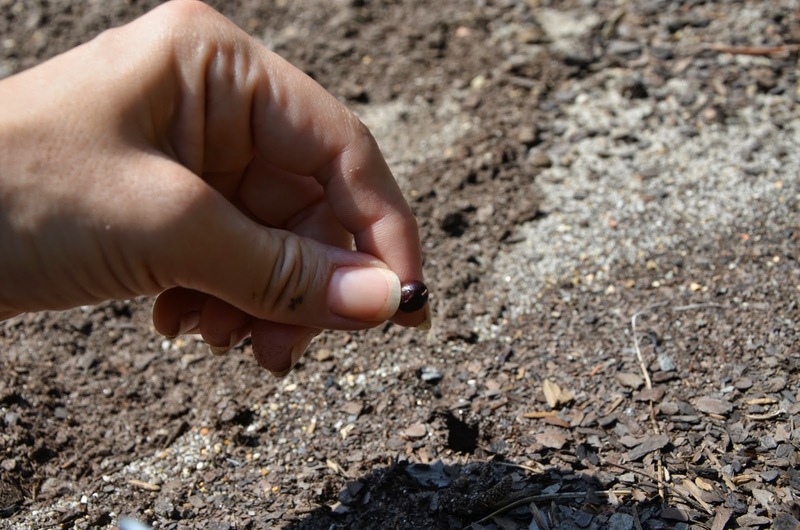 However all of your seeds may not germinate, and you can always move them to a different location after 1 or 2 years when they start to get larger. 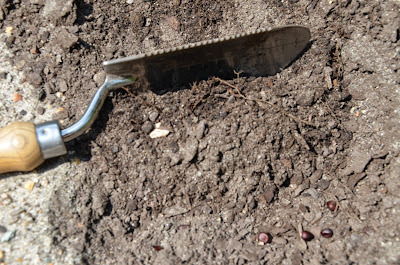 After you have a flat shallow hole dug for your peony seeds, you can scatter them in the bottom of the hole or arrange them neatly in rows and/or columns according to your preference. Next cover the peony seeds with the soil you removed from your shallow hole. An alternate method of planting the peony seeds would be to poke a hole in the soil for each seed and plant them individually. 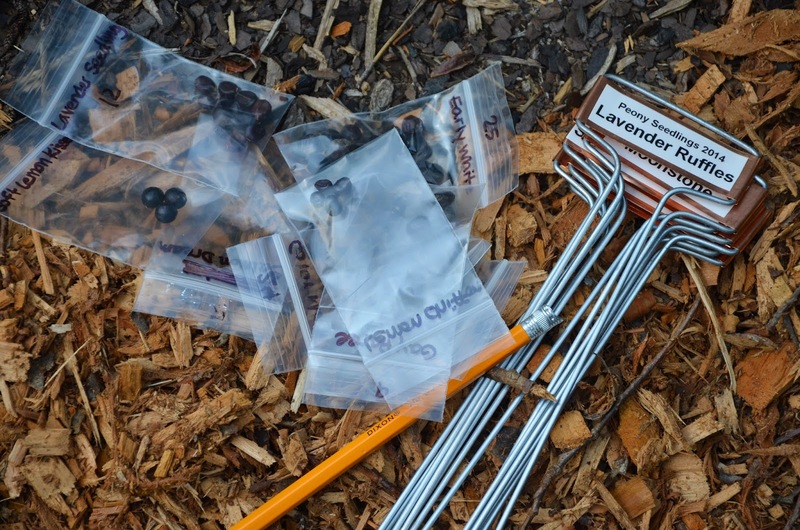 This method is good when you only have a few seeds of each variety to plant. 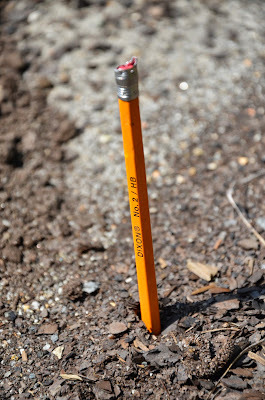 I usually use a pen, pencil, or marker to make a small hole in the soil. Then I drop the seed into the hole, and use the writing implement to press the seed into the bottom of the hole. 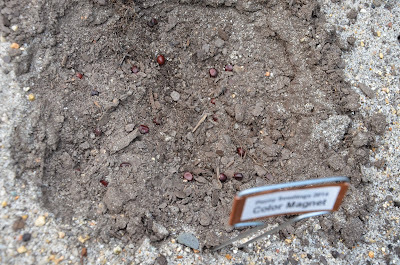 Then cover the seed with the surrounding soil. 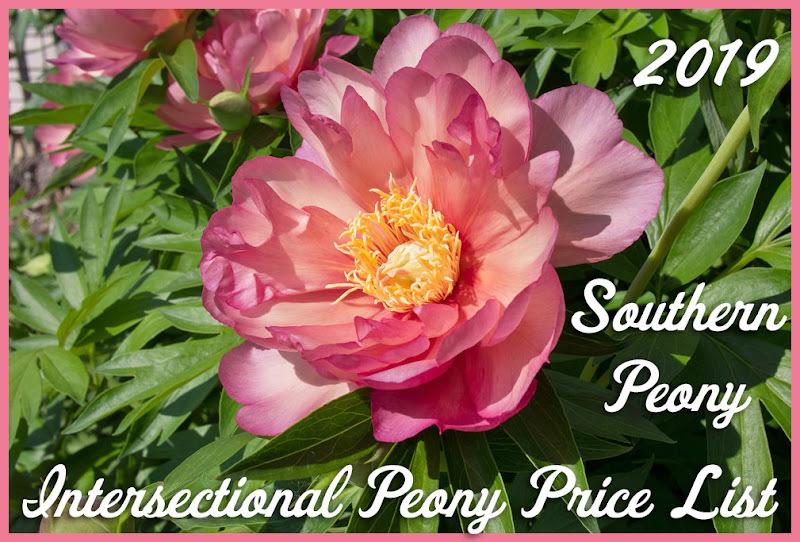 After your peony seeds have all been planted, make sure to water them and keep them moist! This is a very important step! 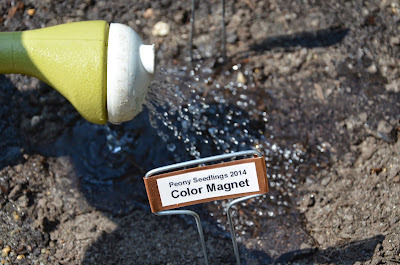 I usually use a watering can with a rain drop head to lightly sprinkle the water over the seeds. This will prevent the soil from washing away and uncovering your peony seeds. Now just keep them watered and wait for them to sprout! Fresh peony seeds may germinate the next spring if planted promptly after they are ripe. 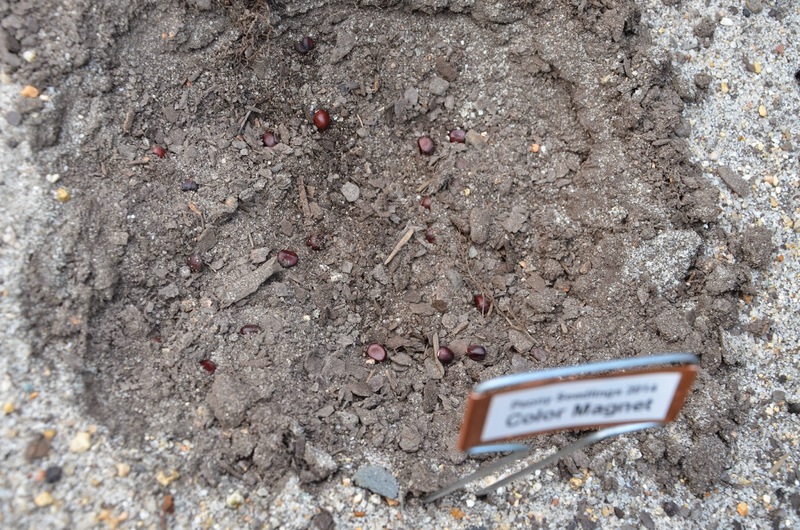 However older seeds may take another year before they germinate. (That's why it is super important to have a sturdy seedling label that won't be heaved out of the soil in the winter.) Be patient and you will be rewarded! 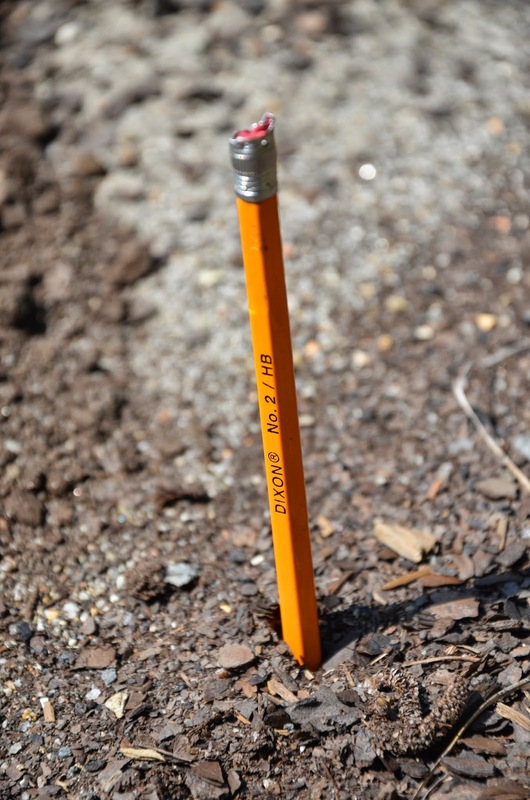 You may be able to start dividing some of the ones you sprouted this year in 2-3 months once the appear completely dormant. I intend to get some transplanted by November up here. I probably won't move mine for at least another year. I'd just like to see how many make it through the winter without any interference from me! :-P Good luck with your transplants!